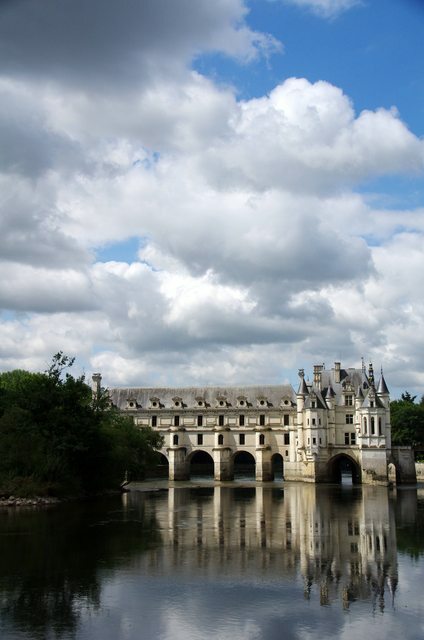 I took so many pictures during our time at Chateau de Chenonceau. 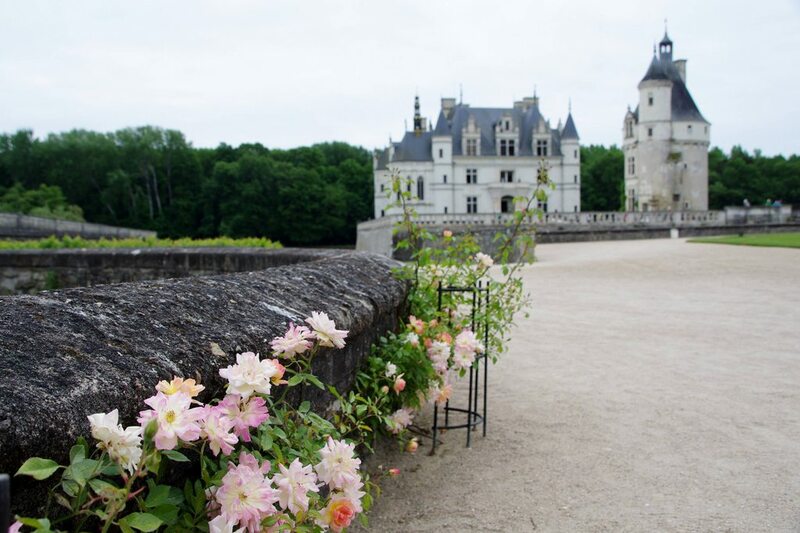 I won’t be able to include all of them in one blog post, so I’m splitting it into three parts. 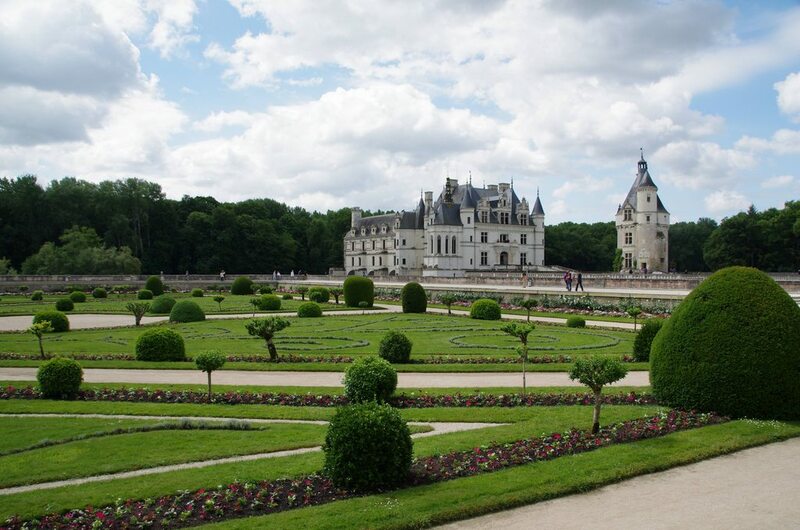 This one will include pictures of the outside of the chateau, Diane’s garden, and Catherine’s garden. 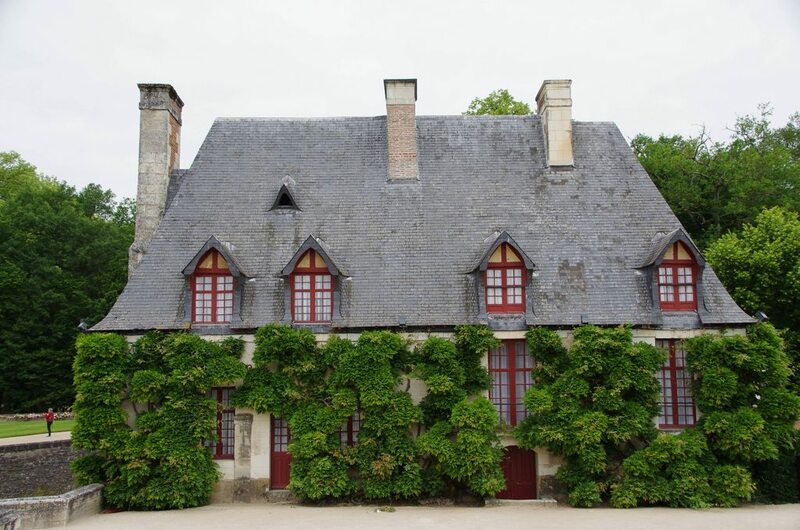 The other two posts will focus on the inside of the chateau and the grounds. 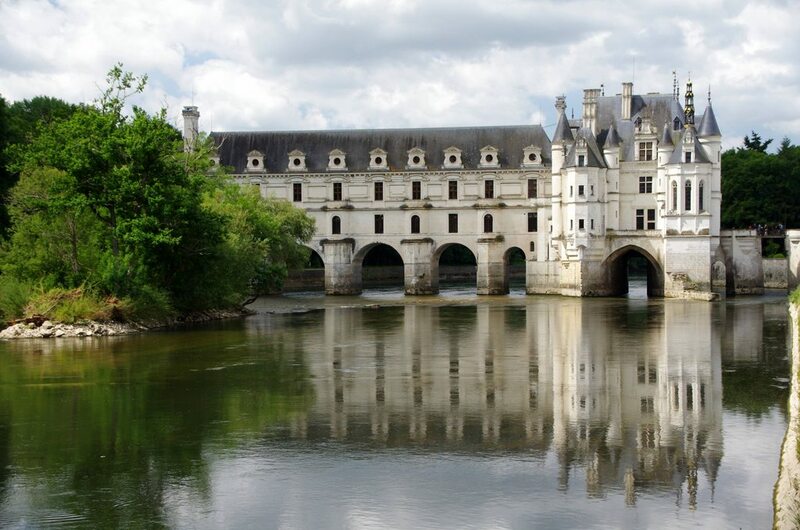 Chateau de Chenonceau is built across the River Cher. 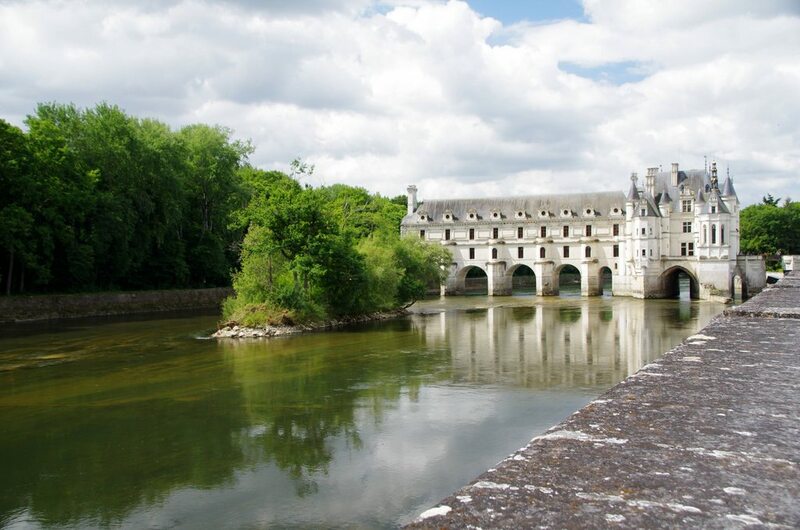 The oldest written reference to Chenonceau is from the 11th century, though the chateau as it exists today was not built until the mid-to-late 1500s. 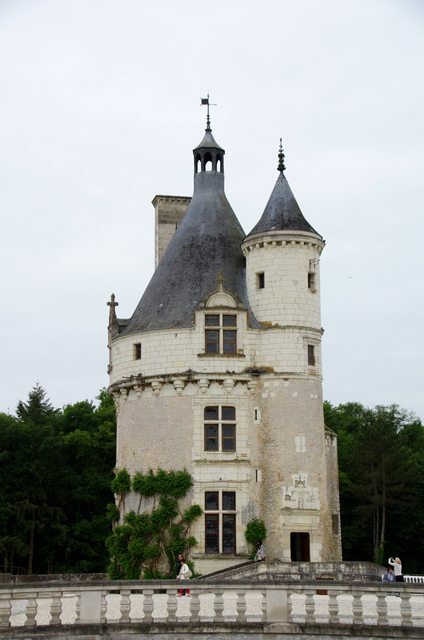 The architecture is a mixture of late Gothic and early Renaissance. 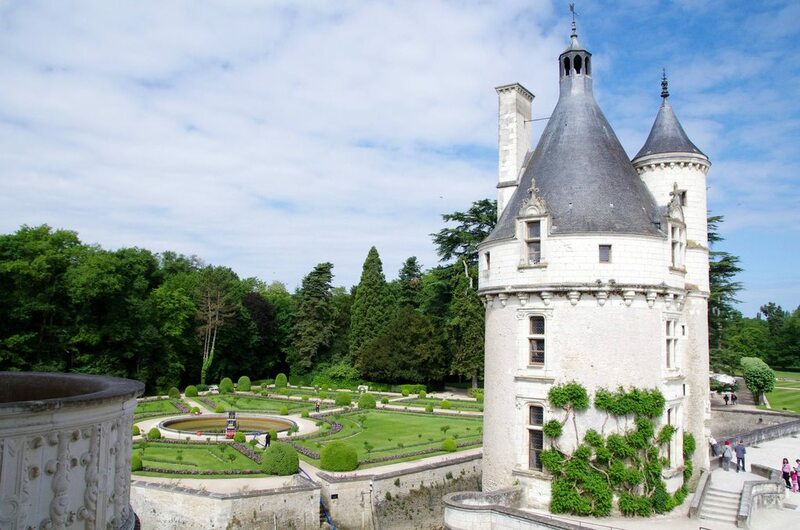 The only chateau that is visited by more people each year than Chenonceau is Versailles. 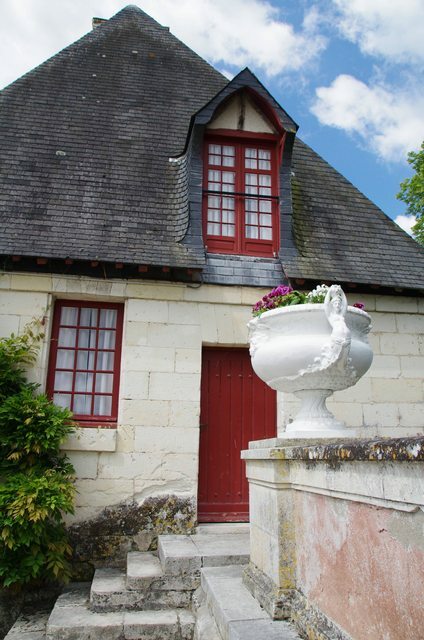 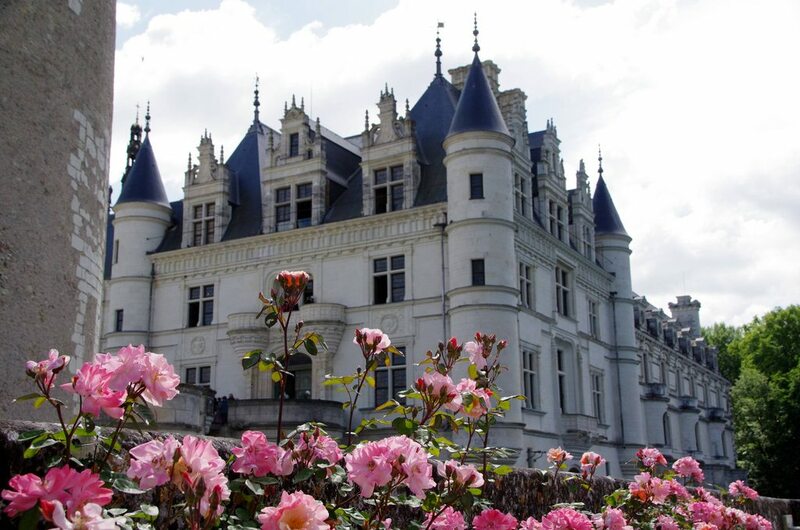 It is nicknamed Château de Femmes in honor of the six women who called it “home” during its early years. 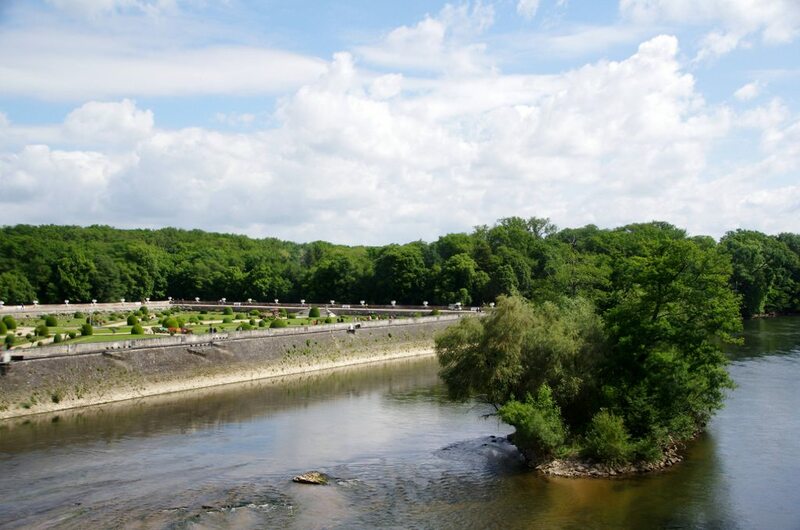 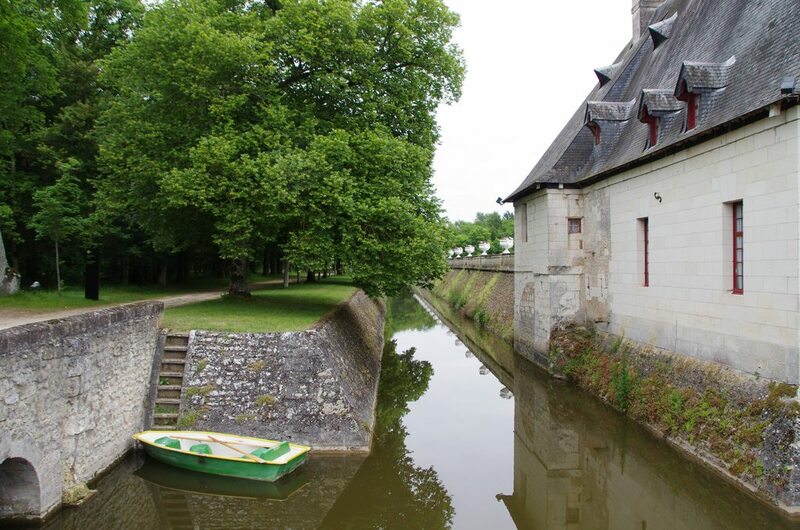 During WWII, the River Cher was the boundary between occupied and free France; the chateau was bombed twice during WWII. 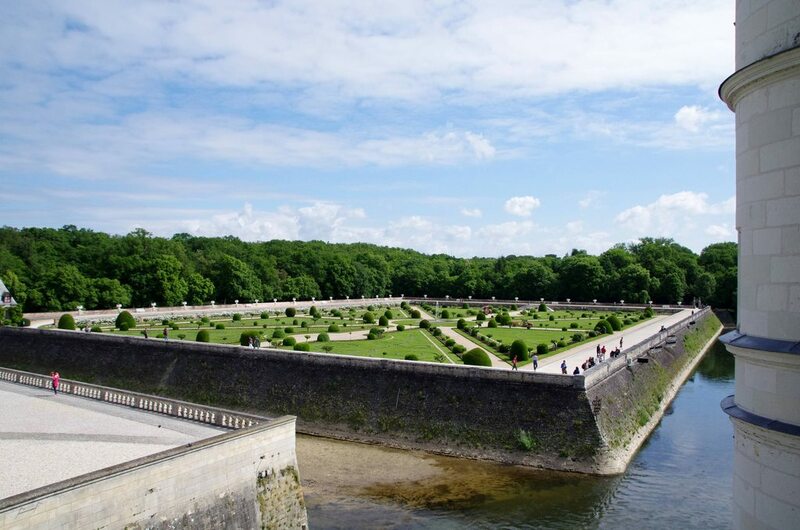 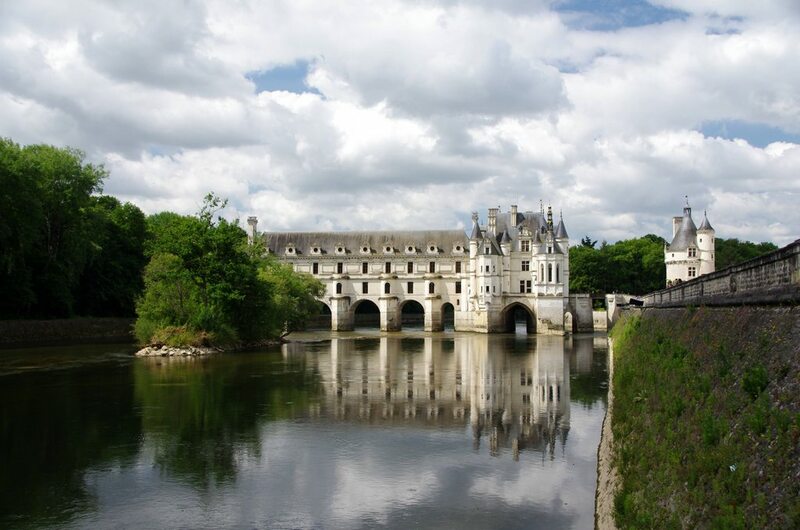 In 1951, the Menier family (who had owned Chenonceau since 1913) restored Chenonceau. 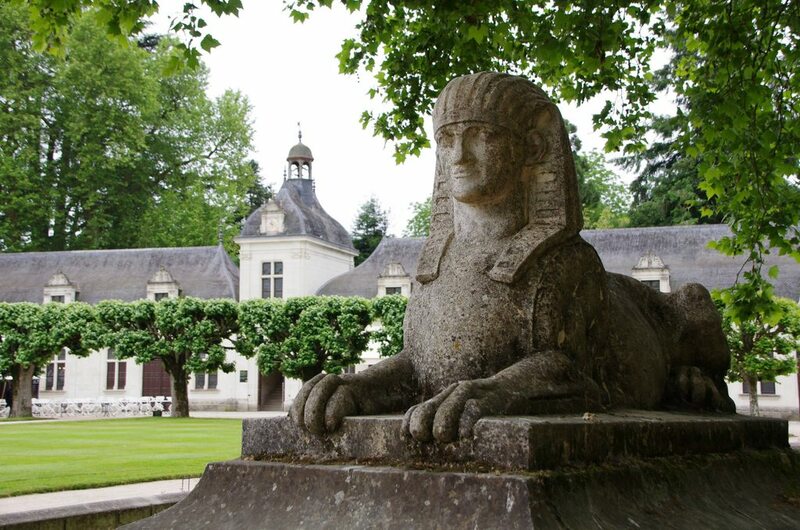 They still own it to this day. 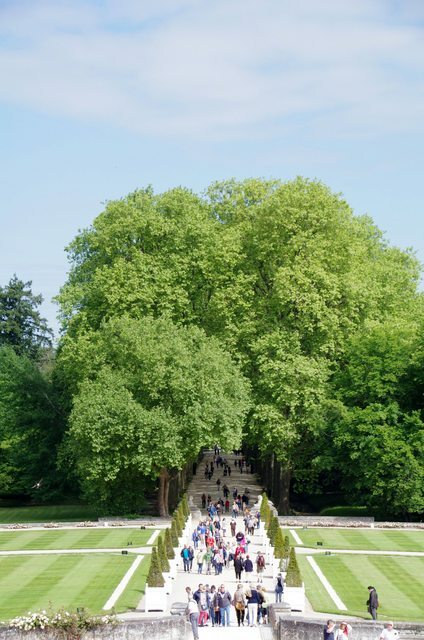 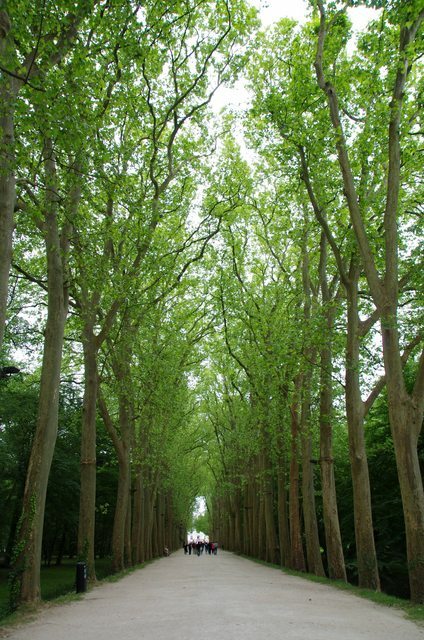 The tree-lined walkway that ushers visitors towards Chateau de Chenonceau is beautiful, and does a good job of setting the tone for guests. 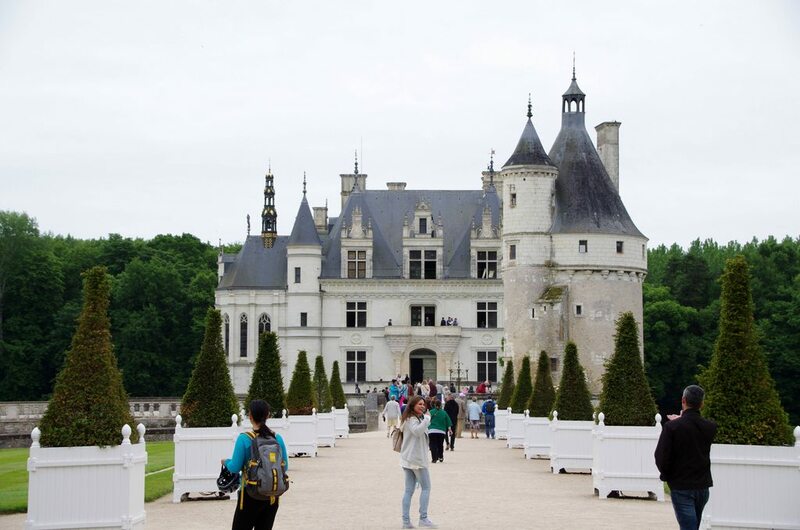 The entire chateau seemed almost magical — as if it had been preserved exactly as it was when it was initially built — a small window into the past. 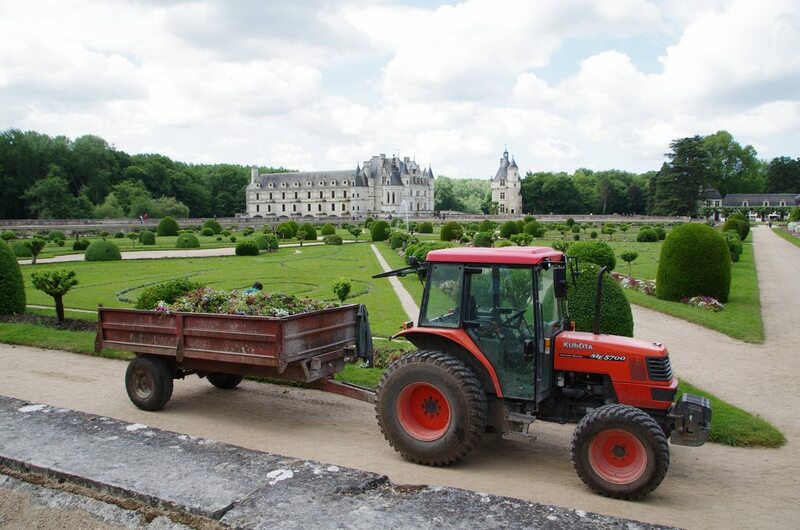 We visited France during mid-May, so many of the gardens were being worked on, as early spring flowers were being removed and replaced with summertime flowers. 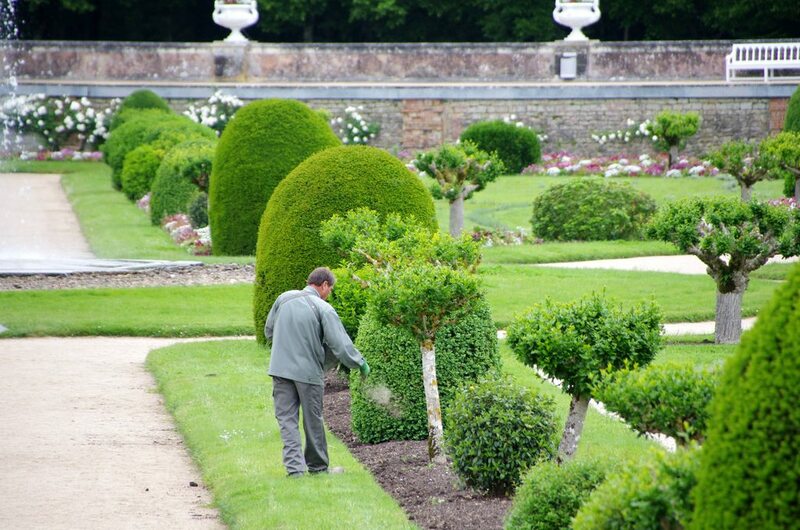 I must admit, I’m a bit envious of this man’s job. 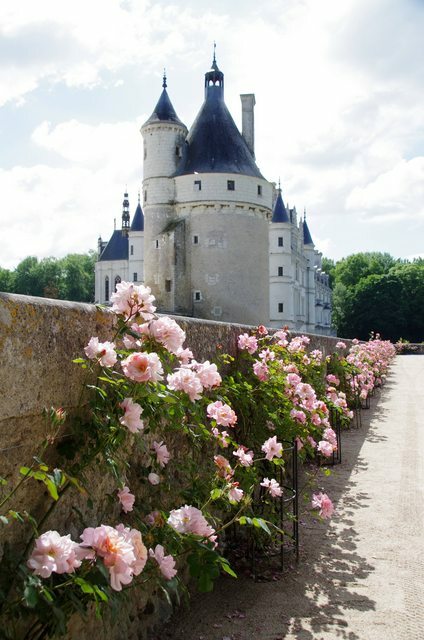 Oh, to get paid to work in a garden! 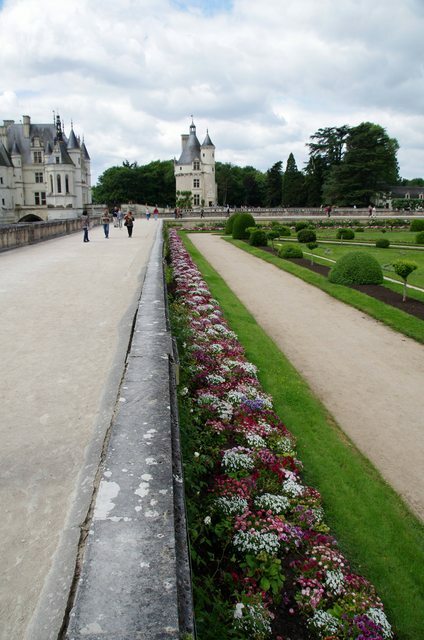 They were in the process of re-doing the flowerbeds while we were visiting. 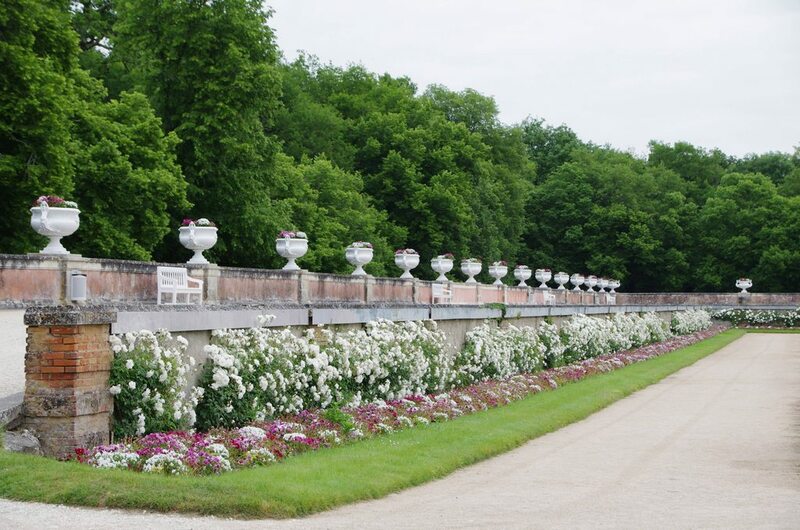 This trailer is full of the plants that they were removing.